Acupuncture is not just for pain. Treatment can help improve your health and wellbeing by addressing you as an individual, beyond just focussing on a condition. Very popular in the area of fertility and conception. A natural alternative to botox or fillers. Can benefit complexion, pores, fine lines, wrinkles and small scars. With body points for overall health and a relaxing ‘face lift’ massage it’s like three treatments in one! Relaxes, loosens tight muscles, increases flexilibity and range of movement, reduces stress and improves sleep. Tailored to your individual requirements, combined with your acupuncture session or as a separate session. Ideal to tackle congestion, e.g. sinus issues or swollen ankles. Can speed up healing – recommended by cosmetic surgeons after vaser lipo. Excellent option to ‘detox’ before conception or for your yearly cleanse. Acupuncture in Chobham, Woking, in easy reach from Bagshot, Bisley, Brookwood, Camberley, Horsell, Knaphill, Lightwater, Ottershaw, Sunningdale, West End and Windlesham. If you have never experienced acupuncture before, I would encourage you to have a free, no obligation initial telephone consultation, in which we can discuss how acupuncture could work for you. Please note however that in order to start treatment a separate, thorough consultation will need to be done in clinic at your first appointment. On the individual treatment pages you will find MLD (post-lipo, detox or decongestion), cosmetic acupuncture and , weekly treatment (i.e. for fertility support) and smoking cessation support packages tailored for the most popular treatment outcomes. Occasionally, places become available for this plan I offer to those I believe will benefit from regular treatment. Please Email me to register your interest. 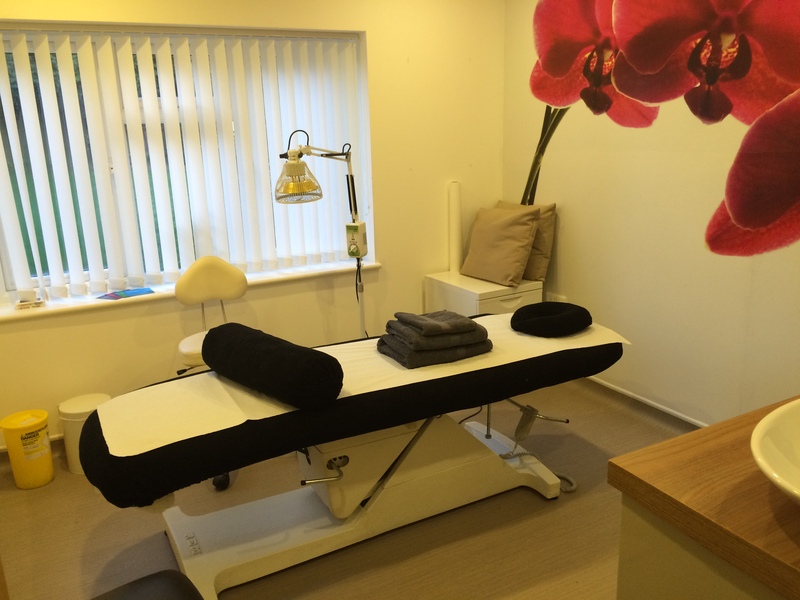 Chobham Acupuncture clinics run in a brand new therapy room at Dental Sense in Chobham. The surgery has its own parking and is conveniently located next door to Lloyds Pharmacy, two doors away from Chobham GP surgery. or 01276 855994 for Dental Sense Reception. Regular clinics are on Thursday afternoons, other days may be possible by appointment. Availability permitting, I may be able to accommodate emergency appointments or those whose work schedule doesn’t allow them to see me during regular clinic slots. An out-of-hours surcharge applies. Acupuncture is one of the safest medical treatments, of both conventional and complementary, on offer in the UK. Two surveys conducted independently of each other and published in the British Medical Journal in 2001 concluded that the risk of a serious adverse reaction to acupuncture is less than 1 in 10,000. This is far less than many orthodox medical treatments. I have your wellbeing and safety at the heart of everything I do. I have completed a first-degree-level training in traditional Acupuncture, including substantial elements of Western anatomy, physiology and pathology. I will record all relevant details of your health condition and your medical history before treatment commences. Occasionally, based on this information, I may refer you to your GP for further investigation or medical treatment. I only use pre-sterilised single-use needles which are safely disposed of after your treatment. All treatments are carried out in accordance with exemplary professional standards. The treatment room and all equipment conforms to set standards and has been approved by local authority environmental health officers. I have full medical malpractice and public/product liability insurance cover. I've never had acupuncture before. Do the needles hurt? 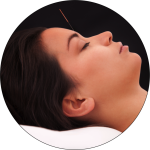 Acupuncture needles are much finer than the needles used for injections and blood tests. You may not even feel them penetrate the skin and once in place they are hardly noticeable. In some cases you may feel an ache which signals that your body’s Qi (energy) has been accessed and which should settle soon. Many Acupuncture patients like this sensation as it makes them feel more involved in how the treatment works. I've had acupuncture done by a physio/osteopath. Is this any different? Some Western medical practitioners use needles to treat musculo-skeletal conditions, and in general do this based on modern neuroanatomy, physiology and pathology, rather than Chinese medical theory. You may come across terms such as ‘dry needling’ or ‘medical acupuncture’. If you have had treatment by a medical practitioner, physiotherapist or osteopath, this is what you most likely would have had. Acupuncture traditionally, and as practised at Chobham Acupuncture, falls within the scope of classical or traditional Chinese medicine. While our degree also includes a foundation in the Western approach to anatomy, physiology and pathology, our work as acupuncturists will be based on the Chinese medical approach to health of balancing Qi (vital energy), Yin and Yang etc. I've had botox. Can I have cosmetic acupuncture? Of course. I only ask that you leave a minimum of three months between your last botox session and your first facial acupuncture treatment. From a health perspective, refrain from having cosmetic acupuncture treatment if you suffer with chronic migraines, uncontrolled high blood pressure or diabetes, have cancer, are actively trying for a baby, pregnant or breastfeeding, have had a pacemaker fitted, during a cold or flu, during an allergic reaction or if you have a problem with excessive bleeding or bruising. Sometimes it may be possible to first have treatment for those conditions and then return to the facial. Acupuncture can help alleviate symptoms and works well alongside mainstream medical treatment. However, if you are currently receiving treatment from a medical practitioner it is sensible to mention to them that you plan to have acupuncture. In some cases I might ask you to confirm that you have checked with your doctor before starting treatment. This is not often required, but if you are unsure, ask your medical practitioner and/or mention it to me when you book your session. It is important that you let me know if you are or could potentially be pregnant, and that you mention any symptoms and medical conditions you have or had in the past, and any medication you may be taking. While acupuncture may enable you to reduce or stop taking some forms of medication you should keep taking your prescription as advised and always consult with your doctor for any change. You shouldn’t have treatment under the influence of alcohol. While it is advisable to avoid a heavy meal within an hour prior to treatment, do make sure that you have eaten earlier in the day. At your first appointment (sometimes before), I will carry out an initial consultation, in which I will seek to understand your needs and expectations, as well as any relevant information about your health and lifestyle. This information will be stored securely, kept confidential and solely be used in the context of your treatments. In Acupuncture sessions, the verbal consultation is usually followed by a so-called ‘body diagnosis’, which may include examination of Chinese meridian pathways (e.g. for pain), a ‘tongue diagnosis’ and pulse taking. Once treatment begins, make sure you are comfortable and then relax! I will tell you if I need you to move or turn, otherwise you are not expected to do anything. Many people are completely quiet during a session, others prefer to talk – it is up to you, it is your time. But do not hesitate to ask questions at any time. You will be wearing most of your clothes during and acupuncture treatment, so if possible wear comfortable, loose fitting clothing. For treatments carried out directly on the skin (MLD or massage), I may ask you to undress to your underwear and you will be covered in towels except for the area being worked on. What if I arrive late or have to cancel? If possible, please inform me about any delays. I may consider your session cancelled if I don’t hear from you within 15 minutes of your scheduled start time. In some cases it may still be feasible to carry out your treatment when you arrive late, but it is likely that we will have to keep to the original end time and your treatment will be shorter. Your treatment price will still be due in full, see Terms and Conditions. I understand that sometimes you might need to change or cancel an appointment. At the same time, I ask you to give us as much notice as you can, since holding the treatment slot for you makes me unable to offer it to somebody else who might need it. I ask for minimum 48 hours notice for changes and cancellations, see Terms and Conditions for my cancellation policy. I have private medical insurance. Will they cover the cost? As the demand for complementary medicine increases, some private health insurance companies may begin to offer cover for traditional acupuncture or other complementary therapies. It is worth checking your individual policy details and clarifying with your insurer. At this point I don’t have direct arrangements with insurance companies, but I am happy to issue an invoice for you to provide them with. This depends on many factors. Speak to me about this. In some cases, you will see results after just one treatment. In others, I will suggest a treatment plan and we re-assess after a number of treatments. Treatment often has cumulative effect. I always recommend to give a therapy a good chance (provided you are comfortable with it, of course). Those who stop after one session, move on to the next therapy and do the same can easily end up thinking that nothing can help them. In general, you should feel mentally and physically relaxed. You might feel sleepy or energised, depending on the treatment you had and how your body has responded to it. If you feel sleepy or drowsy, avoid driving or using other machinery. After acupuncture occasionally there may be minor bruising at the needle point. Especially if you have a tendency to bruise I recommend refraining from facial treatments for at least two weeks ahead of any important events. Ask me any other questions you may have about your treatment. I am an acupuncturist (Bsc Hons) practising classical Chinese medicine. I have a BSc (Hons) in Acupuncture from the University of Greenwich and am a Licentiate of Acupuncture with the International College of Oriental Medicine (ICOM) in East Grinstead. ICOM is the longest established acupuncture college in the UK and the only one to teach both theory and clinical application of the classical Chinese Stems and Branches philosophy, alongside Yin/Yang, Traditional Chinese Medicine (TCM) and Five Elements. I also practise cosmetic acupuncture for facial rejuvenation and have a passion for Chinese facial diagnosis. My path in holistic therapies began when I became interested in the connection between mind and body during my psychology degree around ten years ago. I left a global role in the corporate world to set up practice offering bodywork – massage therapy and Vodder style manual lymphatic drainage (MLD) – while studying for my acupuncture degree. I now run a local practice in Chobham, where I offer acupuncture and bodywork, modalities that work well together. I also advise on food energetics and lifestyle changes, to enable my patients further on their journey to optimum health. I believe that, given the right support, the human body has an amazing ability to transform and heal itself. I am qualified to treat a wide range of conditions and in fact will say that acupuncture treats you as an individual rather than the condition. My special interests are in working with people affected by headaches and migraines, digestive and women’s health issues, as well as fertility. I enjoy taking a holistic approach to facial rejuvenation with cosmetic acupuncture. To make Chinese medicine accessible to everyone I publish articles on my blog and in the local village life magazine. I am member of The Acupuncture Society and and my practice is covered by full professional indemnity and public liability insurance. I was falling asleep on the sofa by 9 p.m. and ended up having a fabulous sleep after my facial acupuncture. I feel quite rejuvenated today and my husband says he can see a difference already. I came to see Astrid because I had abdominal, neck, shoulder and lower back pain and I was not sleeping. The treatment prescribed was a series of acupuncture and massage sessions which went really well together and not something I considered before. Astrid treated different areas during each session. After the first session I felt my back ease, and I had a much better sleep that night. I am now on my fifth treatment – my lower back pain has eased 80%, I have no neck or shoulder pain, and sleeping through at least six hours. Plus I am no longer feeling the cold. My mood has improved considerably. I have a skip in my step and a more positive outlook. 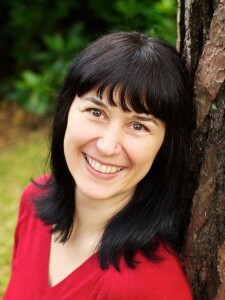 Astrid is a very skilled practitioner, with a wealth of knowledge. I felt that she really listened to me, and allowed quiet when I needed it and that was very important. Acupuncture is truly amazing, it’s changing my quality of life. When chronic long term moaners like me come in, you are life savers!